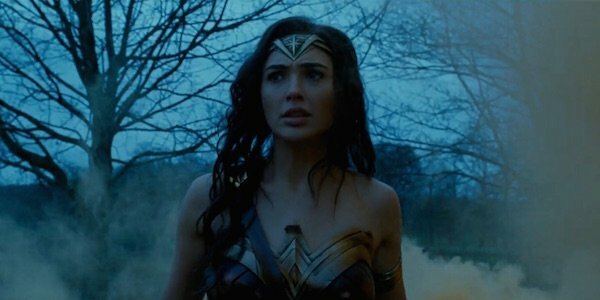 Batman v Superman: Dawn of Justice introduced Wonder Woman to the DC Extended Universe this past weekend, and during her brief screen time, we learned that Diana’s had plenty of experience living among mankind. Next year, her solo movie will take audiences back nearly 100 years ago to when Diana ventured into the outside world during World War I. It’s thanks to this time difference and inexperience that she'll feel like a different character in her prequel adventure. Wonder Woman is different from the woman you see in BvS. She’s more naive, and pure, and she’s this young idealist who does not understand the complexities of men in life. Whereas in BvS, she’s super. She’s very experienced. It’s been such an amazing, creative process. Diana’s naivety certainly doesn’t stem from her being "young" in the traditional sense, since Diana is over 5,000 years old during Batman v Superman: Dawn of Justice. Instead, up until a century ago, she spent her whole life on Themyscira with the other Amazons. For whatever reason, be it out of curiosity or necessity, she’ll leave her island home and travel through Europe during the Great War. Honestly, not the best time to see humanity at its finest. While she may still have traveled occasionally across the globe in the following decades (after all, she has enough resources to get into those fancy galas,) by the time she’s seen in Batman v Superman: Dawn of Justice, she has a jaded view on the rest of the world. Warning: spoilers for Batman v Superman: Dawn of Justice are ahead! Diana’s special nature was revealed in Batman v Superman: Dawn of Justice when a photo of her with Steve Trevor and three other men during World War I was found in Lex Luthor’s secret "metahuman" files. When she spoke with Bruce Wayne at Clark Kent’s funeral, she told him she left the outside world behind a century ago because of "horrors of man." Beyond the obvious like trench warfare and mustard gas, Diana must have seen or gone through something especially horrifying in Wonder Woman that leaves her to turn her back on us. After meeting Batman and learning about his mission to form a team of fellow "metahumans," Diana’s present day self will return to help protect the world against an unknown threat in Justice League: Part One, thus giving humanity another shot. However, in Wonder Woman, moviegoers will find out how her first trip to "our world" went last century, and it sounds like it won’t go as she expected.